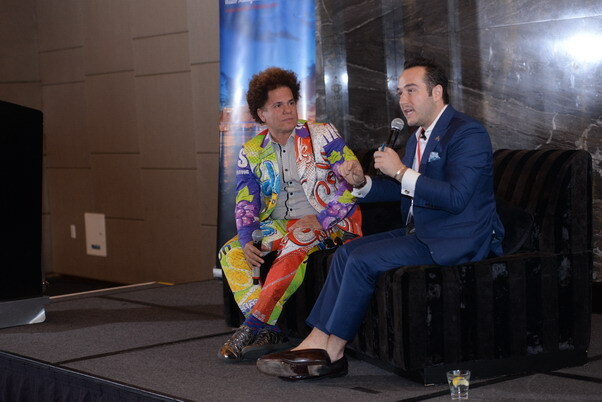 Chris Schembra is a sought-after social influencer, executive advisor to large global companies, and founder of the 747 Club—wherein he facilitates a groundbreaking experiences that breaks down barriers, ignites lasting connections, and frequently changes lives. Through it all, Chris is passionate about facilitating profound human connections in a deeply disconnected world. He does this through building Empathy: The Art of Human Connection. Through Chris’s keynotes—filled with riveting story-telling and life-changing principles centered around Authenticity, Empathy, Vulnerability, and Safety; audience members are empowered to connect more deeply with coworkers, customers, and each other. Chris’s topics are perfect for executive leaders, managers, and employees who want to improve performance, increase sales, and foster greater collaboration and innovation. All of Chris’s topics can be customized to your event theme and needs. Chris meets with each client by phone prior to his speech to ensure that his message directly speaks to your group’s greatest objectives. Below are Chris' sample topics. Learn the precursors to establishing team trust, and how to create an environment of safety first. Embrace the one essential skill for remote relationships.